Wikipedia in terms of web traffic is among the top promoters of evolutionary belief and pro-atheism ideology. The website was founded by the atheist Jimmy Wales and the agnostic Larry Sanger. 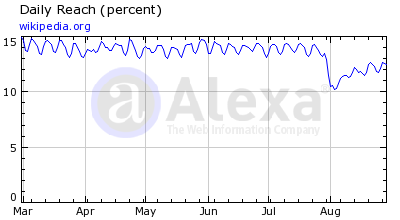 In the last two weeks, there were articles indicating that Wikipedia has a shrinking base of editors and that a serious challenger to their website has arisen. Since Wikipedia ranks #1 at Google for so many search queries, this is another indication that atheism and evolutionism are losing influence on the internet outreach front (see: Internet atheism: The thrill is gone). Atheism and evolutionism on the internet: The thrill is gone! 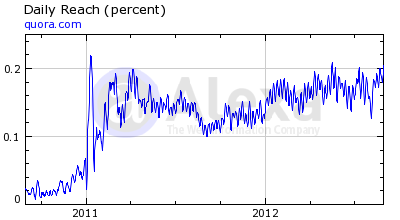 Richard Dawkins website and other evolution/atheism websites have lost significant traffic in the last 5 years. On the other hand, you can see by the resources that I provided above that biblical Christianity is rapidly expanding on the internet and there are ambitious plans for its future expansion. Like I demonstrated before, when it comes to promoting atheism and evolutionism on the internet - the thrill is gone!